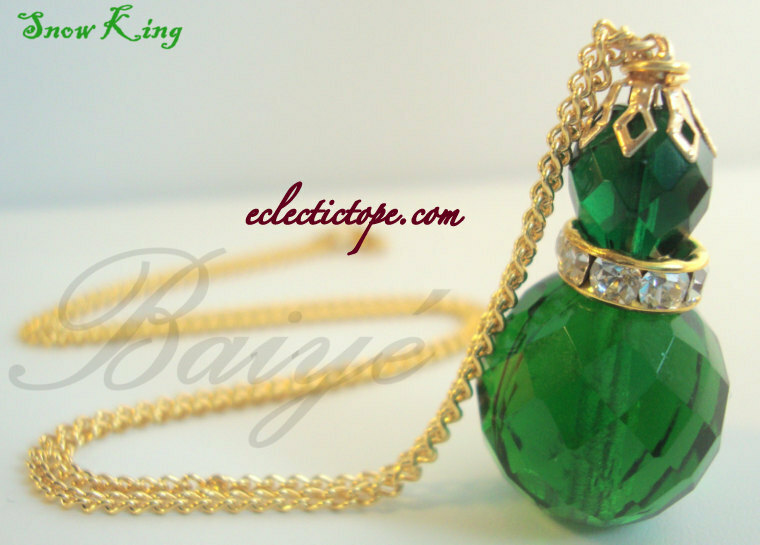 Today I am celebrating Funto Baiyeroju, known by her friends as Angel Baiye, the whimsical mind behind Baiyejewellery. With an extremely creative mind, she makes clothes, bags, plays the piano, does interior decor and even comes up with party themes. 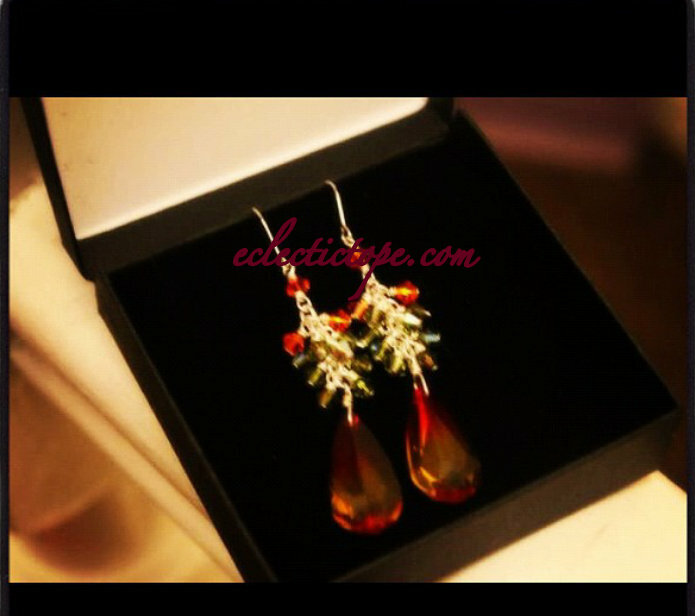 She is a practicing lawyer, but jewellery making is her passion, her favoured means of expression. “My business is mostly based in my bedroom. No matter what part of the world I am in, you’ll see me hunched over my tools, my legs crossed, squinting away, as I am near sighted. 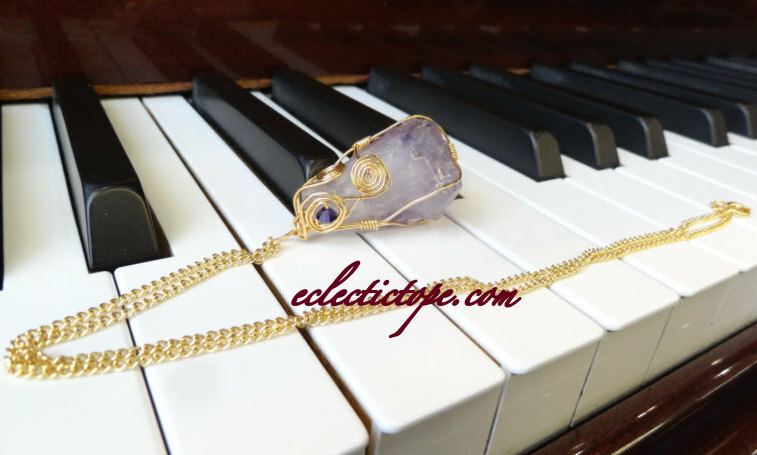 Quality, beauty, delicacy and intricate work inspire the bits and stones I use as supplies. 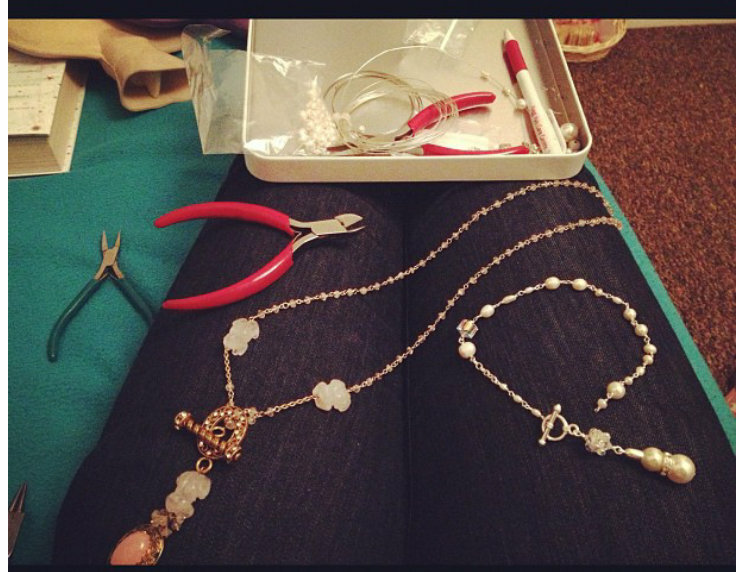 Overtime, I have evolved from using beads and coloured wire to Swarovski crystals, fresh water pearls, precious/semi precious stones, silver, gold plated and pure gold wire and balls. I am self taught and I have been making jewellery since 2004. 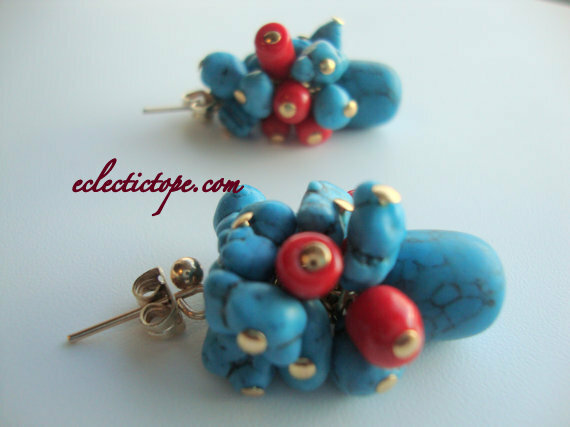 The jewellery I make are like my babies, birthed from the excesses of my creative mind., children of my imagination. I spend a lot of time deciding on colour, stone, design and durability of each item. I even wear a copy over a period of time to test the durability and provide customers with the best. All my business work is done on my own, so my skills have expanded from jewellery making to picture taking, managing my Etsy shop, dressing models, learning the art of cyber selling and creating an online presence. You can order pieces from my shop online, and they are shipped from Lagos, Nigeria to the world. Customer service for me entails a one on one conversation with the future owner of my pieces. This helps me understand each client’s favourite colours, likes, dislikes, and what has inspired them to purchase a Baiye original piece. All of that contributes to making the piece unique, and special. I am encouraged to keep creating, knowing that each piece would make an impact, be bought or be given in love, looked after and preserved carefully in dainty trinket boxes. 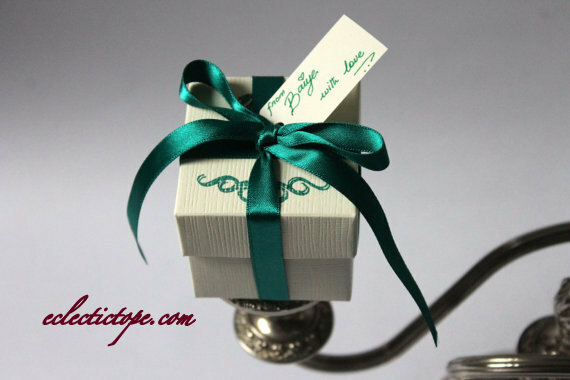 I want my pieces to be used to mark special occasions; births, birthdays, anniversaries, engagements, new relationships, gifts from a loved one, a keepsake, or bought as an ego boost for yourself. A general feel good item that picks you up once you have it on. See more magical works of Funto below. 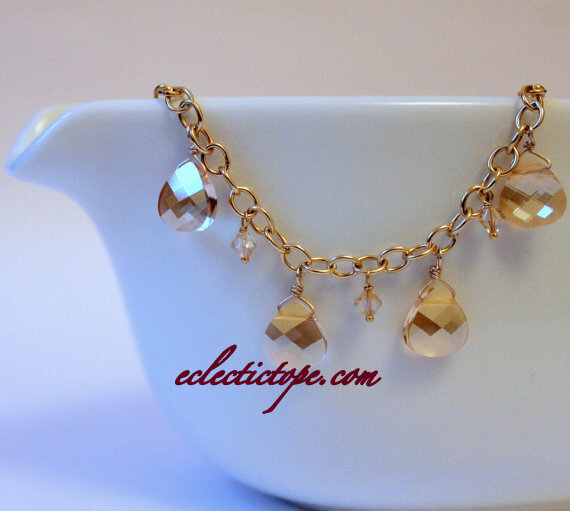 Gold dust Swarovski charm bracelet. Next Post 10 Of My Favourite Mandela Sayings. Wow Funto I want 2 enroll 4 decoration classes. 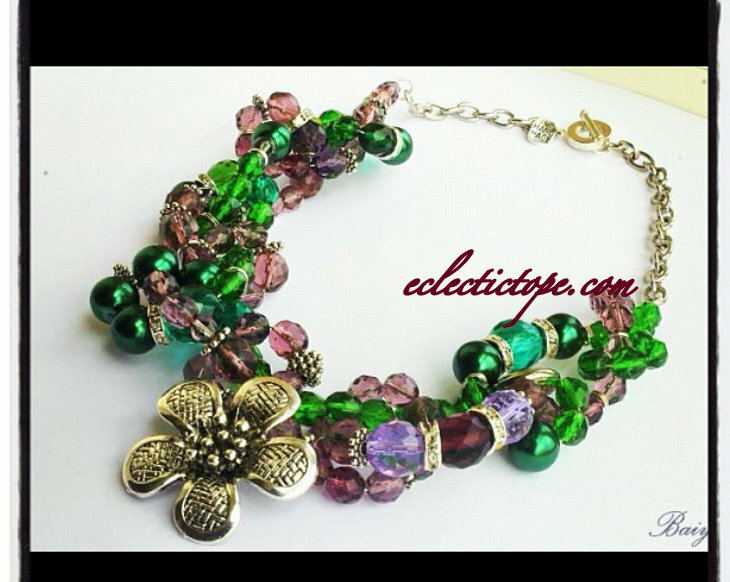 plus this swarovski bracelet is my best I love love love it welldone. Wow! I’m just stunned AMAZING creation simply beautiful. Well done Funto pls I’m already inlove with the swarovski charm bracelet I have an obsession with stones. Lol. How do I place order? I want more!!!! Is there something I’m missing at the Etsy store…. The Etsy store is on a little break, as I am working on a collection. You can visit our facebook page in the interim. I’m also putting up some good deals and discounts on http://www.dealdey.com in a few weeks. Oh my! They are so lovely. I appreciate Funto’s creativity. 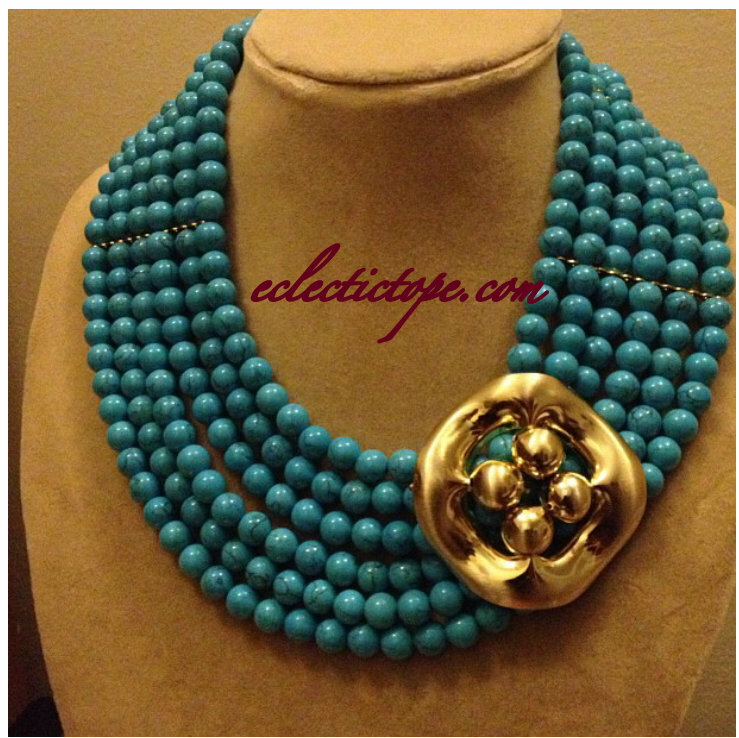 I want that turquoise and gold neck piece *batting my eyelids. 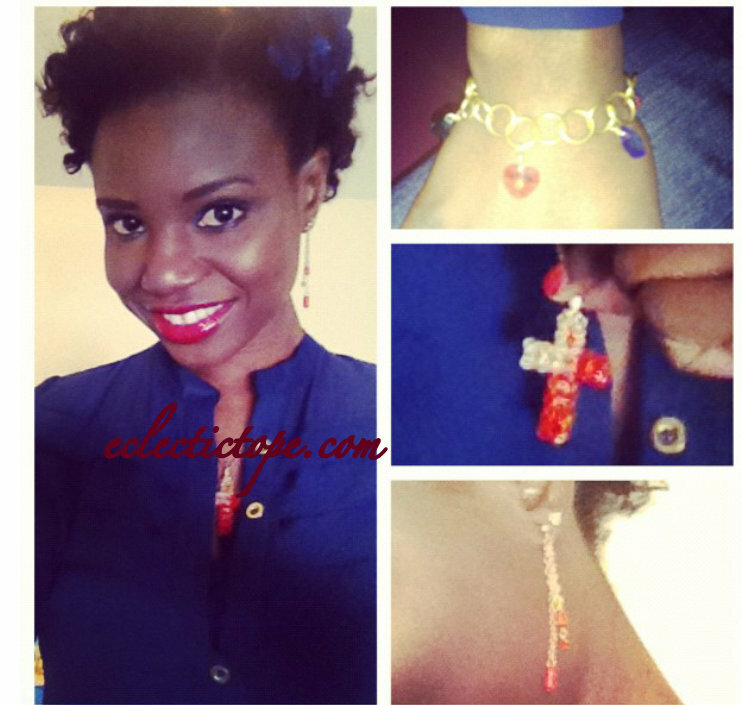 Kisses sweety, the unofficial memeber of baiye jewellery team, thank you! !